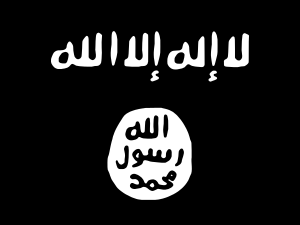 The Jaysh al-Muwahhideen or Jaysh Abu Ibrahim (Arabic: جيش الموحدين‎‎) is a Druze militant group in Syria. 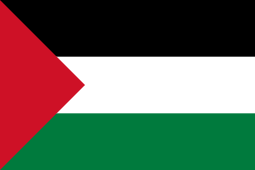 Their name means "Army of Monotheists" or "Army of Unitarians". 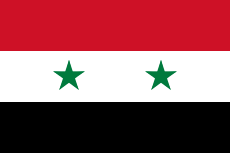 The group mainly operates in the Suwayda, Deraa, Damascus and other regions where the Druze are concentrated and announced their formation in the beginning of 2013. The leadership describes the group as Unitarian Druze engaging in defensive jihad, but has also been described as supporters of Bashar al-Assad and his government. It operates largely in Jabal al-Arab or Mountain of the Arabs, also known as Jabal ad-Druze, a mountainous area of Suwayda governorate as well as the Jabal al-Sheikh area in Damascus governorate, areas primarily inhabited by Druze. The group was set up in response to attacks on Druze civilians. The group commemorates anti-colonial figures such as Sultan al-Atrash, who was a prominent Arab Druze chieftain. 1 2 Aymenn Al-Tamimi (13 November 2013). "The Druze Militias of Southern Syria". Retrieved 26 December 2013. 1 2 Aymenn Jawad (19 September 2014). "Suwayda Village Militias". Retrieved 6 October 2014. ↑ Aymenn Jawad (15 November 2013). "More On The Druze Militias in Southern Syria". Retrieved 6 October 2014.